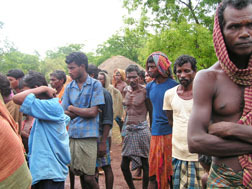 Salgadia Happy & Holy Home Society is reaching out to some very primitive and violent tribal people deep in the interior of Eastern India. SHHHS has established a strong Dream Centre here with about 150 kids and is slowly transforming a whole community. The Lodha children in the home we established are excelling in academics and recently held their first ever Graduation ceremony, celebrating their accomplishments in education. Many are going on to College so they will have a much brighter future than previous generations.